The Virtuous Circles project is a Church of England initiative developed to help resolve the challenge of maintaining empty churches in rural locations where they face the threat of deconsecration, sale or demolition. Of the 16,000 churches within the Church of England, more than 12,000 are listed buildings, approximately 9,000 are in rural or remote locations, and approximately 4,000 have fewer than 20 regular worshippers. Finding a revenue generating future for these buildings that will remove the burden of their upkeep from the clergy is considered by some to be the most important conservation challenge of the coming generation. Working with the Diocese of Hereford, Virtuous Circles is a concept that will allow these assets to look after themselves; to generate an income to finance their own upkeep, and install the infrastructure that will support community uses, without leaving the ownership of the wider Church. This takes the form of light-weight and sustainably designed timber pods sensitively sited within the under-used areas of the nave. 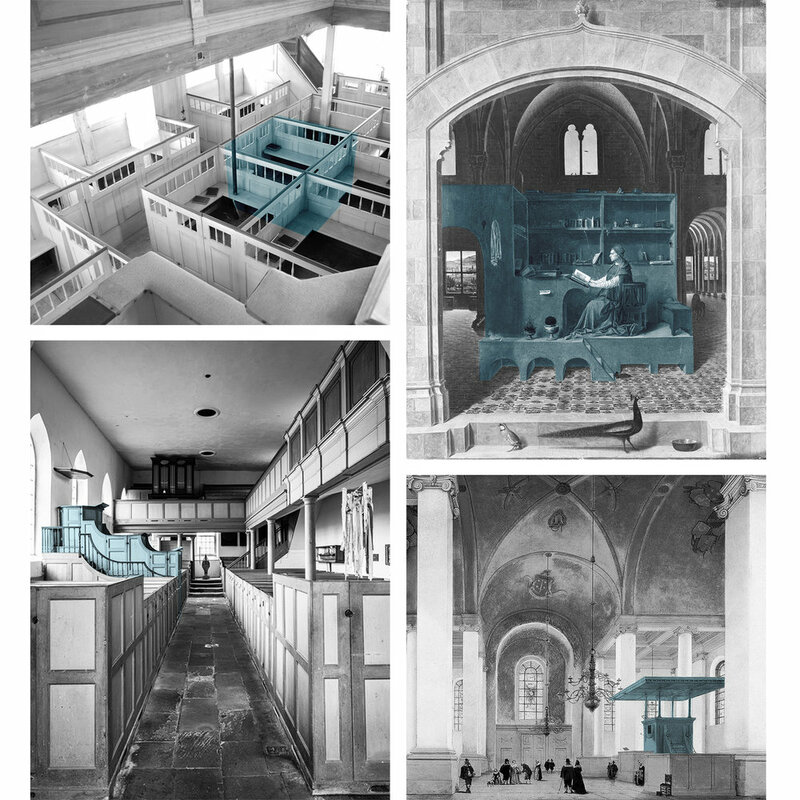 The design respects the unique characteristics of church spaces as places for prayer, contemplation or congregation, and draws precedent from the wealth of imaginative church furniture of all ages, displayed across the Church of England’s 16,000 sites. The eco-pod proposals are innovative, sympathetic, low energy, and most importantly, easily replicable and almost completely reversible. They support multiple new uses for any church, in any context, and of any size. It means that churches can remain open and available to all – a progressive and collective resource for every community. Fergus Connolly and Charlie Wellingham led the Design Team for Virtuous Circles whilst working at FCBStudios. All images c.FCBStudios.